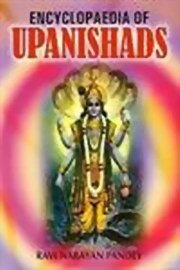 The Upanisads capture the quintessence of Indian spiritual wisdom-unfolding deep-set, highly perceptive reflections on human existence and how it is related to the mysterious cosmos. Authored by enlightened seers over the period of 1500-200 B.C., the Upanisadic message is a magnificent vision that raises human consciousness to sublime heights. In this book, meticulously analytical commentary, the book distills the wisdom teaching of the Upanshad, drawing on his intimate understanding of the human psyche, as well as both eastern and western philosophy, science, art and literature. Dwelling in turn on each of its mantras, its poetic charm, myths, metaphors, images and symbols, the book recreates and expands the Upanisadic vision of our own nature, human interaction, and the cosmos, and their relation to the unmoved essence of all.